Pressure – Can You Dig It? You certainly can dig a trench with pressure. Even a rather small pedestrian (walk behind) trencher with a 48” or smaller boom uses 2,900 psi of hydraulic pressure. With a 48” boom, a compact trencher has track ground pressure of around 4.6 psi. While the high pressure is developed in a hydraulic drive using a pump and motor to transmit power, the much smaller ground pressure indicates how well the weight of the machine is distributed. Ground pressure is very important in areas that require a light footprint from equipment, such as public parks, ball fields, cemeteries, public beaches and, in fact, any finished landscape. The choice of tires or a track system makes significant difference in ground pressure. A track model can exert from 2 to 4 psi of ground pressure and a model with tires will exert about 7 to 12 psi of ground pressure. While the tires value may seem like it is way too high, for comparison, an adult standing on the lawn would exert about 6 to 8 psi of ground pressure. So, in most instances, a person digging the trench by hand actually generates more ground pressure. This is just another example of how knowing the actual pressure value is important to make the right decision. A heavy-duty construction rubber track crawler carrier has a lower ground pressure than the average human being. Source: Teremac News, 12/6/2013. Posted on September 25, 2018 Author CynthiaTags All Sensors, ground pressure, hydraulic pressure, pressure, PSILeave a comment on Pressure – Can You Dig It? Q. How do you elevate the basic water pistol experience? A. By giving it more pressure. For the pressure to remain constant, if A1=n*A2, then F1=n*F2. To take the water pistol to the next level, NASA engineer Lonnie Johnson conceived of the idea of a pressurized water gun with a pressure reservoir that became the Super Soaker. The ultimate Super Soaker used a constant pressure system (CPS) with a separate compression chamber that contained a thick-walled rubber balloon. 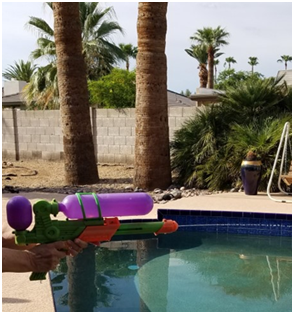 While the difference in the length and amount of the output (flow) of a standard water pistol vs. the Super Soaker vs. the CPS 2000 Mark1 Super Soaker is discussed in several blogs, the pressure in each is not. 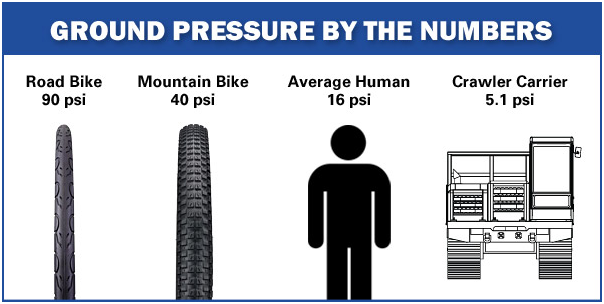 Those interested in pressure will just have to make their own measurements. All Sensors’ SPM 401 Series or CPM 602 Series pressure sensors with media isolation could provide those measurements.